Suspended Janata Dal (United) (JD(U)) leader Manorama Devi's son Rocky Yadav, and three others have been pronounced guilty by a sessions court here in connection with the Gaya road rage case. The quantum of sentence will be pronounced on 6 September. 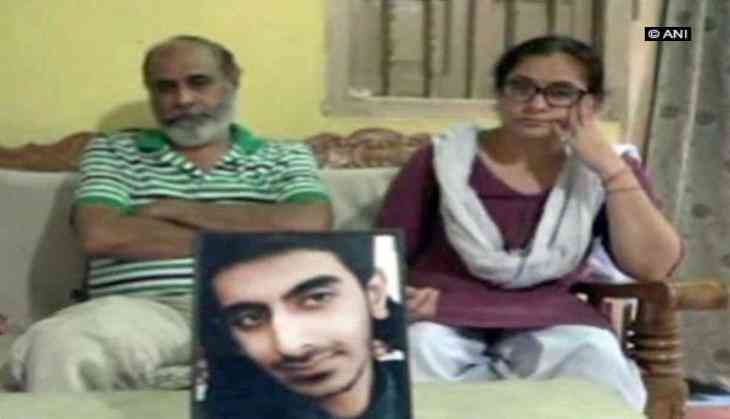 Earlier in the day, while talking to ANI, the parents of the class XII student, Aditya Sachdeva, who lost his life in the road rage, said, "We hope that the law does justice with us and with our son." On March 6, the Supreme Court denied to vacate its order of cancelling the bail of Rocky Yadav in the case. The Apex Court, earlier in October last year, stayed the bail granted by the Patna High Court to Yadav, who is the main accused in the killing of Aditya Sachdeva in the road rage case in Gaya on May 7. Rakesh Ranjan Yadav, also known as Rocky, was granted bail by the Patna High Court earlier on October 19 last year. The police arrested Rocky from his father Bindi Yadav's mixer plant in Gaya on May 10 last year. Rocky's parents, accused of sheltering him while he was on the run after the murder, were recently granted bail. The police filed a chargesheet in a Gaya court against Rocky and another accused in connection with this case. They also filed charge sheets against Rocky's cousin Teni Yadav, his father Bindi Yadav and his MLC mother's bodyguard Rajesh Kumar in this connection. The state government had put the case on speedy trial. The investigation was completed within three weeks and the chargesheet was filed within a month of the incident.